SpaceX just released a 360 degree barge-level video showing the historic landing of its Falcon 9 rocket on an ocean platform. The company pulled off the feat of landing a 14-story-tall rocket ship on a barge floating in the Atlantic Ocean on April 8. On Friday, SpaceX posted on YouTube a video of the landing that lets you look around in all directions -- and feel as if you were standing on the deck as the rocket touched down. The video uses YouTube's new 360-degree view feature. On a desktop computer, you can use the mouse to click on the screen and move the image around. On a smartphone, you can move the device to explore your surroundings. The grainy video also reveals how tricky it is to land at sea. With a camera on board SpaceX's autonomous spaceport drone ship (ASDS), you can feel how the ship sways back and forth. Plus, it's obvious that the rocket slides a few feet on deck after it cuts the engine. 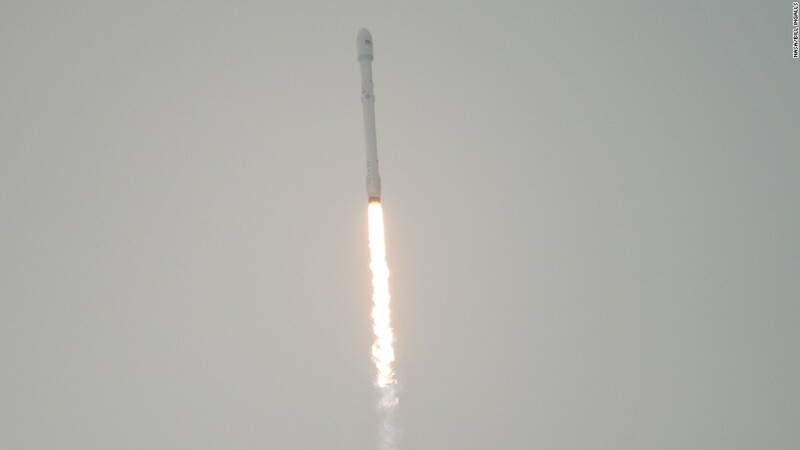 SpaceX failed to land the rocket on three previous attempts, with the rocket collapsing and blowing up. It's a neat use of the technology, bringing viewers to the front seat. Now the question is: Will SpaceX allow a similar in-the-front-seat experience when a rocket heads for Mars in 2018?